Admission Ticket Notice: Upon completing your purchase of a general admission ticket(s) you will receive an e-mail confirmation with an eTicket Printing Information link. Please click the link and print your PDF eTicket. 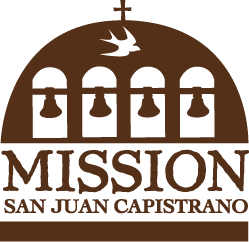 Please bring your eTicket to the front gate of The Mission San Juan Capistrano. Please allow 10 to 15 minutes to process your eTicket but it may require up to 1 hour. If you are unable to retrieve your eTicket please reply back to your e-mail confirmation for assistance.